Motorcycle helmets are expensive so it makes sense that you do everything in your power to prevent them from being stolen when not in use. Not so long ago, your only option would have been to take them with you when parking your bike up, but now you can securely attach your helmet to the frame or handlebars of your bike through the use of a simple portable helmet lock. The options out there for dedicated motorcycle helmet theft prevention are limited but here we’ll go into what we would consider based on usability, flexibility and security. You will notice that we have included several cable locks which make a great choice for portable helmet security, simply because they are so light and compact and can be used in a variety of ways. We suggest you check out this comprehensive video review to gain a thorough understanding of just how the HelmetLok works in practice. 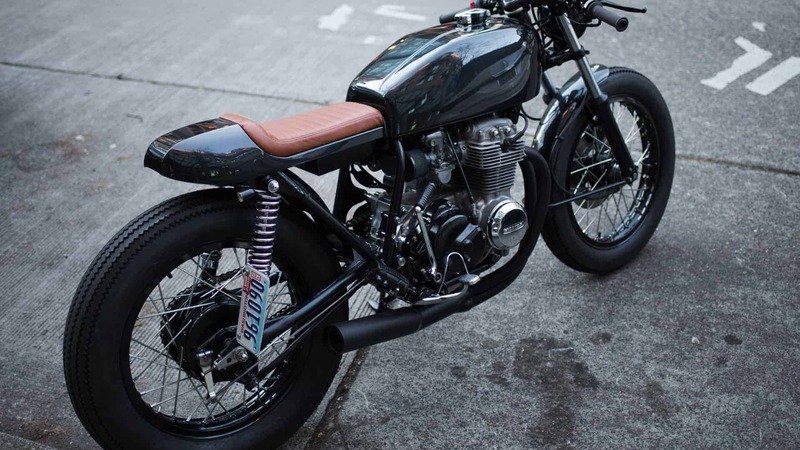 Welcome to our best motorcycle helmet lock round up and review. This is your dedicated option which features a carabiner style mechanism you can use to feed through your helmet’s D-rings. If your helmet features a ratchet strap fastening system, then a metal T bar is also supplied which you can use to clamp onto. 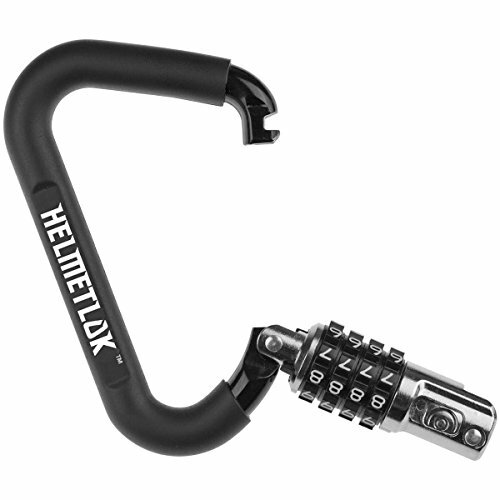 The lock utilised is a simple 4 digit combination lock which means no key to worry about but probably isn’t great if you have a bad memory. The unit is sturdy enough but the weak point in this setup are your helmet’s straps which can be cut with a simple pocket knife. On the flip side, the HelmetLok ll is so small and compact that it’ll easily fit underneath your seat or in your jacket pocket. We’ve given the HelmetLok ll an honourable mention for being one of the only dedicated helmet anti-theft devices on the market today. For added security we’re moving onto portable cable locks. 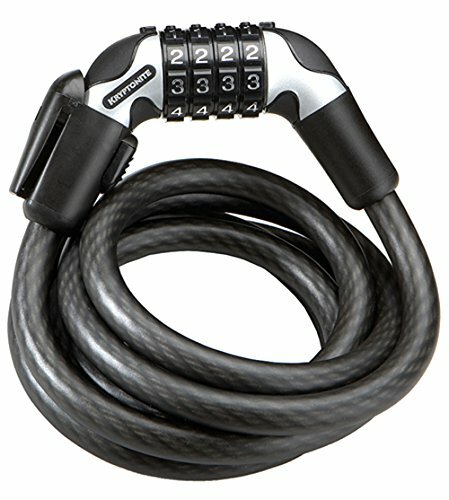 Abus’ Steel-0-Flex consists of a whopping 25mm braided steel cable complete with integrated key locking system. A steel cable this thick is going to be impossible to cut with a knife and virtually impossible with a pair of bolt cutters. Simply route the cable through your visor opening and then attach to something solid like your front forks or the rear sub frame of your bike. Waterproof and lightweight at 4.07 lbs (1.85 kg) means you have no reason to leave this at home. We rate this product as the best helmet lock you can buy. Available in lengths of 39” (850mm). Sold Secure Silver. 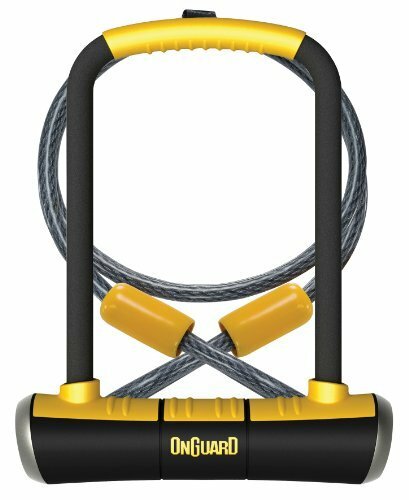 This setup is more than enough to defeat the casual opportunist with the D lock receiving a Sold Secure Gold rating with OnGuard offering their Anti-Theft Protection deal. The final option is another integrated cable and lock setup featuring a 4 digit combination lock. The steel braided cable is 15mm in diameter providing a good level of security without the added weight, weighing a grand total of 1.35 lbs (0.61 kg). 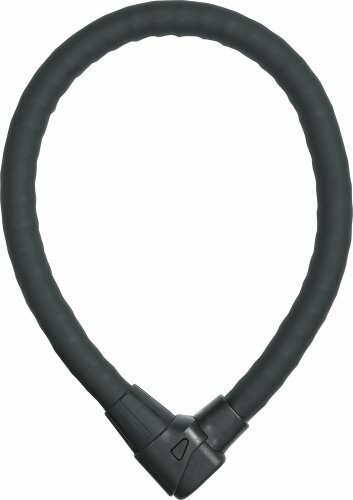 It also only comes in a length of 25.5” (650mm) so perfect for being able to attach your helmet to a solid part of your bike without leaving too much excess cable. No official security rating has been obtained, but for the price, it provides a nice deterrent and will stand up to a lot of abuse before giving in. If you’re looking for a cost-effective and versatile way to secure your motorcycle helmet, the Kryptonite Kryptoflex is definitely worth a look. And there you have it. Our review on what we feel are the best helmet locks currently available today. If you don’t have a top box or any other form of storage attached to your bike, one of these products is the best way for you to secure your helmet and make sure it is still there when you return to your bike. As always, feel free to send us a message with your experiences.